HOUSTON – Kenton Deon Harrell, 41, Kenneth Shane Howard, 34, and Malcolm Derrail Williams, 32, have been handed their sentences following their convictions of conspiracy to interfere with commerce by robbery, announced U.S. Attorney Kenneth Magidson. A federal jury convicted Harrell following four days of trial and approximately three hours of deliberation in June 2014, while the other two had previously entered guilty pleas as did a fourth defendant – Charles Ray Blake, 41. All are from Houston. Today, U.S. District Judge Gray Miller handed Howard Harrell a total sentence of 135 months in federal prison to be followed by three years of supervised release. Howard and Williams received respective sentences of 151 and 77 months, also to be followed by a three-year-term of supervised release. While the court did not impose a fine as a part of any of their sentences, each defendant is responsible for payment to the U.S. Post Office and the actual victim of the robbery restitution in the combined amount of $94,068. Blake will be sentenced Dec. 12, 2014. Howard, Williams and Harrell will remain in custody pending transfer to a U.S. Bureau of Prisons facility to be determined in the near future. Blake was permitted to remain on bond pending his sentencing hearing. This case was investigated by the U.S. Postal Inspection Service. 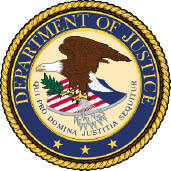 Assistant United States Attorneys Richard D. Hanes and Sharad Khandelwal prosecuted the case. Read more: USAO – 141024 – Harrell. Who tipped these low life’s off I wonder! Regarding what was on that truck! One of our finest, I am sure!